According to a researcher (sic) at Cambridge University, it doesn't matter in what order the letters in a word are, the only important thing is that the first and last letter be at the right place. The rest can be a total mess and you can still read it without problem. This is because the human mind does not read every letter by itself but the word as a whole. At the same time, though, people are quite often unaware of these misspellings, and the 11% cost is smaller than would be observed for replacing letters, or for changing the order of external letters. So, the meme has some elements of truth in it, but is false in its entirety. I'm going to break down the meme, one line at a time to illustrate these points, pointing out what I think is the relevant research on the role of letter order on reading. Again, this is only my view of the current state of reading research, as it relates to this meme. If you think I've missed something important, let me know [matt.davis@mrc-cbu.cam.ac.uk?subject=subject%3DCmabrigde]. There are a number of groups in Cambridge, UK doing research on language. There is the group where I work (Cognition and Brain Sciences Unit), there are also groups in the Department of Experimental Psychology most notably the Centre for Speech and Language (where I used to work). There are also language researchers in Phonetics, the Research Centre for English and Applied Linguistics, and at Anglia Ruskin University. To my knowledge, there's no-one in Cambridge UK who is currently doing research on this topic. There may be people in Cambridge, MA, USA who are responsible for this research, but I don't know of them. 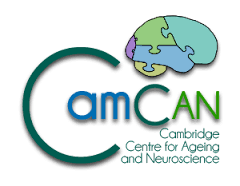 If you know different, please let me know [matt.davis@mrc-cbu.cam.ac.uk?subject=Cmabrigde]. This reminds me of my PhD at Nottingham University (1976), which showed that randomising letters in the middle of words had little or no effect on the ability of skilled readers to understand the text. Indeed one rapid reader noticed only four or five errors in an A4 page of muddled text. Rawlinson, G. E. (1976) The significance of letter position in word recognition. Unpublished PhD Thesis, Psychology Department, University of Nottingham, Nottingham UK. Graham has very kindly sent me a summary of his thesis work. All three sentences were randomised according to the "rules" described in the meme. The first and last letters have stayed in the same place and all the other letters have been moved. However, I suspect that your experience is the same as mine, which is that the texts get progressively more difficult to read. If you get stuck, the original sentences are pasted at the bottom of this article. Hopefully, these demonstrations will have convinced you that in some cases it can be very difficult to make sense of sentences with jumbled up words. Clearly, the first and last letter is not the only thing that you use when reading text. If this really was the case, how would you tell the difference between pairs of words like "salt" and "slat"? I'm going to list some of the ways in which I think that the author(s) of this meme might have manipulated the jumbled text to make it relatively easy to read. This will also serve to list the factors that we think might be important in determining the ease or difficulty of reading jumbled text in general. There is still a very real debate in the psychology of reading, however, about exactly what information we do use when reading. I don't know how much of this literature Dr. Rawlinson was aware of at the time of his thesis, but I do think that the jumbled text provides a neat illustration of some of the sources of information that we now think are important. I'm going to review some of the research that has been done to demonstrate this. 1) Short words are easy - 2 or 3 letter words don't change at all. The only change that is possible in a 4 letter words is to swap the order of the middle letters which doesn't cause too much difficulty (see 4). 2) Function words (the, be, and, you etc.) stay the same - mostly because they are short words, see (1). This really helps the reader by preserving the grammatical structure of the original, helping you to work out what word is likely to come next. This is especially crucial for reading jumbled text - words that are predictable are going to be easier to read in this situation. 3) Of the 15 words in this sentence, there are 8 that are still in the correct order. However, as a reader you might not notice this since many of the words that remain intact are function words, which readers don't tend to notice when reading. For instance, when people are asked to detect individual letters in a sentence, they are more likely to miss letters in function words. Healy, A. F. (1976). Detection errors on the word The: Evidence for reading units larger than letters. Journal of Experimental Psychology: Human Perception & Performance, 2, 235-242. 4) Transpositions of adjacent letters (e.g. porbelm for problem) are easier to read than more distant transpositions (e.g. pborlem). We know from research in which people read words presented very briefly on a computer screen that the exterior letters of words are easier to detect than middle letters - confirming one of the ideas present in the meme. We also know that position information for letters in the middle of words is more difficult to detect and that those errors that are made tend to be transpositions. McCusker, L. X., Gough, P. B., Bias, R. G. (1981) Word recognition inside out and outside in. Journal of Experimental Psychology: Human Perception and Performance, 7(3), 538-551. One explanation of this property of the reading system is that it results from the fact that the position of an exterior letter is less easily confused with adjacent letters. There is only direction in which an exterior letter can move, and there are fewer adjacent letters to 'mask' an exterior letter. Both of these properties emerge very naturally from a neural network model in which letters are identified at different positions in an artifical retina. Shillcock, R., Ellison, T.M. & Monaghan, P. (2000). Eye-fixation behaviour, lexical storage and visual word recognition in a split processing model.Psychological Review 107, 824-851. The account proposed by Richard Shillcock and colleagues, also suggests another mechanism that could be at work in the meme. They propose a model of word recognition in which each word is split in half since the information at the retina is split between the two hemispheres of the brain when we read. In some of the simulations of their model, Richard Shillcock simulates the effect of jumbling letters in each half of the word. It seems that keeping letters in the appropriate half of the word, reduces the difficulty of reading jumbled text. This approach was used in generating example (1) above, but not for (2) or (3). 5) None of the words that have reordered letters create another word (wouthit vs witohut). We know from existing work, that words that can be confused by swapping interior letters (e.g. salt and slat) are more difficult to read. To make an easy to read jumbled word you should therefore avoid making other words. Andrews, S (1996) Lexical retrieval and selection processes: Effects of transposed-letter confusability. Journal of Memory and Language, 35(6), 775-800. Van-Orden, G. C. (1987) A ROWS is a ROSE: Spelling, sound, and reading. Memory and Cognition, 15(3), 181-198. Miller, G. A., Heise, G. A., & Lichten, W. (1951). The intelligibility of speech as a function of the context of the test materials. Journal of Experimental Psychology, 41, 329-335. 4) Tihs is bcuseae the huamn mnid deos not raed ervey lteter by istlef, but the wrod as a wlohe... This is because the human mind does not read every letter by itself by the word as a whole. Warrington, E.K., & Shallice, T. (1980). Word-form dyslexia. Brain, 103, 99–112. Mayall, K., Humphreys, G.W., & Olson, A. (1997). Disruption to word or letter processing? The origins of case-mixing effects. Journal of Experimental Psychology: Learning, Memory, & Cognition, 23, 1275–1286. However, since "word shape" includes information on the position of internal letters (especially where they contain ascending and descending elements), word shape will be disrupted by transpositions. Reicher, G. M. (1969) Perceptual recognition as a function of meaningfulness of stimulus material. Journal of Experimental Psychology. 81(2), 275-280. Pelli, D. G., Farell, B., Moore, D.C. (2003) The remarkable inefficiency of word recognition, Nature, 423, 752-756. In this paper, Pelli and colleagues show that when reading words that have been distorted by presenting each letter in visual noise (like an out of tune television), readers do not perform as well as an 'ideal observer' who can recognise words based on their shape alone. Instead, their participants only perform as well as they could if they were recognising words based on their individual letters. Perea, M., & Lupker, S. J. (2003). Does jugde activate COURT? Transposed-letter confusability effects in masked associative priming. Memory and Cognition. Perea, M., & Lupker, S. J. (2003). Transposed-letter confusability effects in masked form priming. In S. Kinoshita and S. J. Lupker (Eds. ), Masked priming: State of the art (pp. 97-120). Hove, UK: Psychology Press. What Perea and Lupker did was to present words for lexical decision (is this a real word?) and measure response times to press one of two buttons (yes/no). These target words are preceeded by very brief presentations (50msec) of another letter string, which is masked, and so invisible to participants. However, the influence of this masked word can be shown on response times. For instance, response times are faster if USHER is preceded by "uhser" than if preceded by "ushre". That is, middle letter transpositions "prime" a neighbouring word more than extrerior letter transpositions. The same phenomenon that is at the heart of the earlier demonstration. 1) Ted Warring posted a link to an algorithm that is much better than humans at deciphering scrambled text. This is perhaps unsurprising - I'm sure I'm not the only person out there who has used a computer program to solve a particularly taxing anagram. "Regardless of semantic, syntactic, or orthographic predictability, the eye seems to process individual letters ... Disruptions in adult readers' eye movements indicate that the visual system tends to catch the slightest misspelling." There's an interesting issue here which is that the subjective impression of difficulty that one gets from reading a jumbled text may be quite different from a more objective measure of reading difficulty obtained using an eye-tracker (a device that measures the pattern of eye movements made when people read printed text). Bruce also pointed out that the original text and some discussion has been been posted on the "Urban Legends Reference Page". "The sprehas had ponits and patles"
The sherpas had pitons and plates. The shapers had points and pleats. The seraphs had pintos and petals. The sphaers had pinots and palets. The sphears had potins and peltas. 5) Stephen Sachs has written a CGI script to jumble text. Simply enter your text into the www page and press the button for a newly scrambled text. Thanks to Maarten van Casteren, Kathy Rastle and Tim Rogers for comments and suggestions on this page. 3) A doctor has admitted the manslaughter of a teenage cancer patient who died after a hospital drug blunder. All these came from the BBC News on 22nd September 2003.